With an island synonymous to paradise, Kandolhu Island is your perfect escape to luxury, serenity, gastronomy and adventure. Proudly boasting the highest restaurant to villas ratio in the Maldives, and delivering the art of seclusion and privacy to offer the best of holidays; one diversion stands unique in these fitting categories for the seasoned of travelers – it’s famed house reef and the option to explore it in the night via fluo night snorkelling. 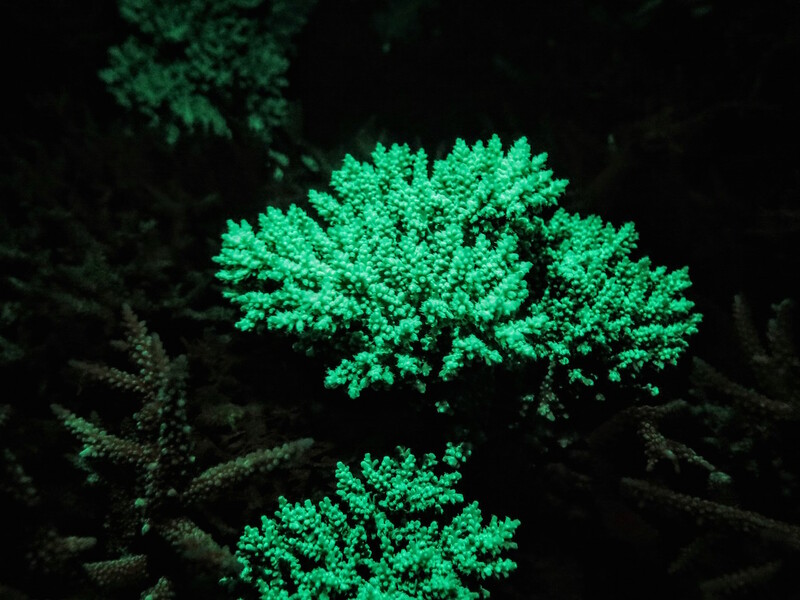 The idea might daunt the faint hearted at first, as night snorkelling isn’t the first thing that comes to mind of someone spending their well-earned vacation. But with a house reef as beautiful as that of Kandolhu, one visit to it changes your mind instantly. Colourful corals of various shapes and sizes dot everywhere and fish life thrive in them in schools or sedentary. These aspects complement what the bright beaming lights of a fluorescent light can do since you’re bound to witness extraordinary sights in this one-hour excursion. The professional team at Noovilu Sports guide you along the house reef right after dusk. Comfort and safety is prioritized and a briefing is given, with the correct rules and guidelines for a better experience. 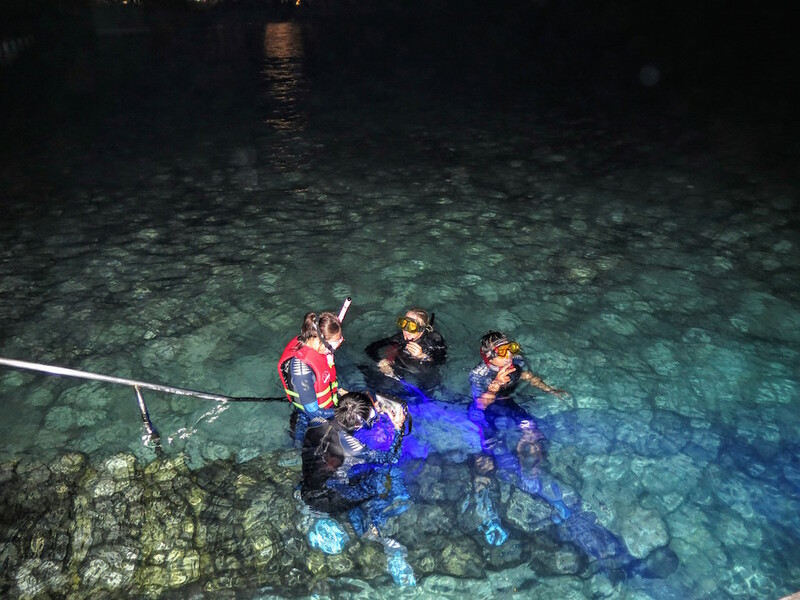 Once securing your equipment you begin the swim in the dark, aided with your new gadgets. Corals like the anemone are perfect examples, as the current make them sway like tentacles, while the light sheds a purplish hue on their movement. A truly astonishing moment to behold! Register this excursion in Noovilu Sports, charge your camera and get ready to have some fun!